Image Courtesy US Coast Guard. After initial response efforts using four fire extinguishers failed, fire crews spent almost two hours extinguishing the fire. 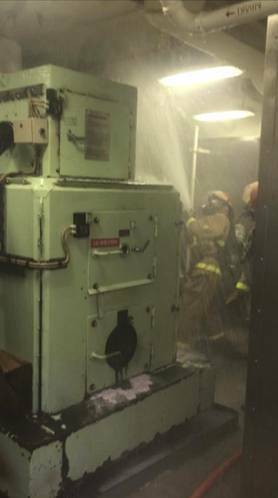 Fire damage was contained inside the incinerator housing, while firefighting water used to cool exhaust pipe in the surrounding area damaged several electrical systems and insulation in the room. 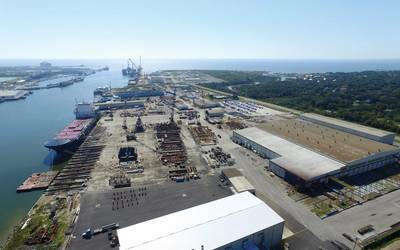 Repairs are already being planned for the Polar Star’s upcoming maintenance period. 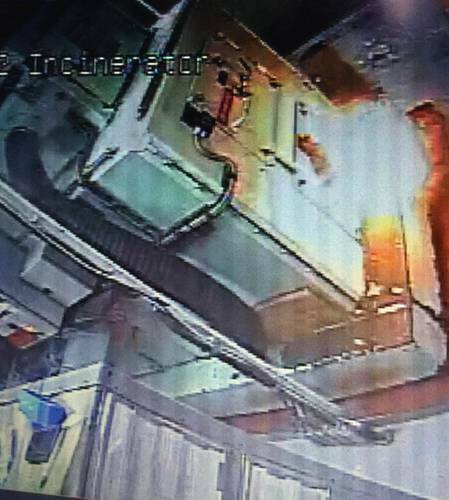 The incinerator will need to be full functional before next year’s mission. Commissioned in 1976, the 43-year old ship is operating beyond its expected 30-year service life. The Polar Star crew recently completed Operation Deep Freeze, an annual joint military service mission in support of the National Science Foundation, the lead agency for the United States Antarctic Program. Since 1955, U.S. Indo-Pacific Command has assisted in providing air and maritime support throughout the Antarctic continent. This year marks the 63rd iteration of the annual operation, and the Polar Star crew departed their homeport of Seattle Nov. 27 for their sixth deployment in as many years and travelled more than 11,200 miles to Antarctica. Upon arrival, the Polar Star broke nearly 17 miles of ice, six to ten feet thick, in order to open a channel through McMurdo Sound. Once complete, the crew refueled at McMurdo Station, the United States’ main logistics hub in Antarctica. The ship also provided a six-hour familiarization cruise in McMurdo Sound to 156 randomly selected station personnel. On Jan. 30, the Polar Star escorted the container ship Ocean Giant through the channel, enabling a 10-day offload of nearly 500 containers with 10 million pounds of goods that will resupply McMurdo Station, Amundsen-Scott South Pole Station and other U.S. field camps. The Feb. 10 fire was not the first engineering casualty faced by the Polar Star crew this deployment. 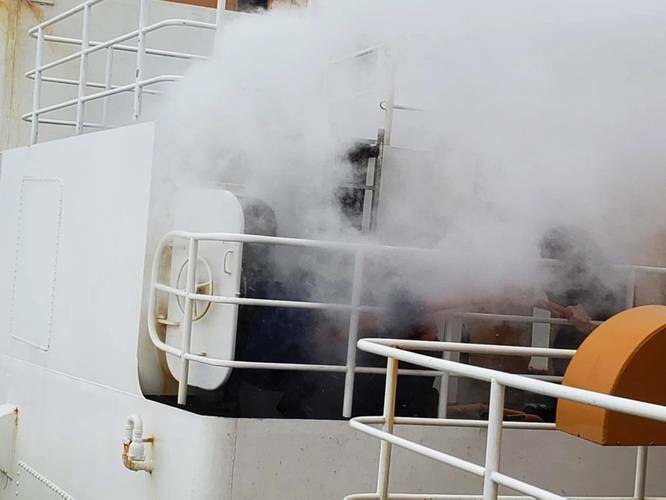 While enroute to Antarctica, one of the ship’s electrical systems began to smoke, causing damage to wiring in an electrical switchboard, and one of the ship’s two evaporators used to make drinkable water failed. The electrical switchboard was repaired by the crew, and the ship’s evaporator was repaired after parts were received during a port call in Wellington, New Zealand. The ship also experienced a leak from the shaft that drives the ship’s propeller, which halted icebreaking operations to send scuba divers into the water to repair the seal around the shaft. A hyperbaric chamber on loan from the U.S. Navy aboard the ship allows Coast Guard divers to make external emergency repairs and inspections of the ship’s hull at sea.